Carvana Co. on Wednesday reported triple-digit growth in volume and revenue in the third quarter, but profits remain elusive as the online used-vehicle seller continues aggressive expansion of its relatively low-overhead model. The company increased its retail unit sales 116 percent to 25,324 vehicles in the third quarter, while total revenue climbed 137 percent to $534.9 million. It marked Carvana's 19th straight quarter of triple-digit revenue and unit sales growth. 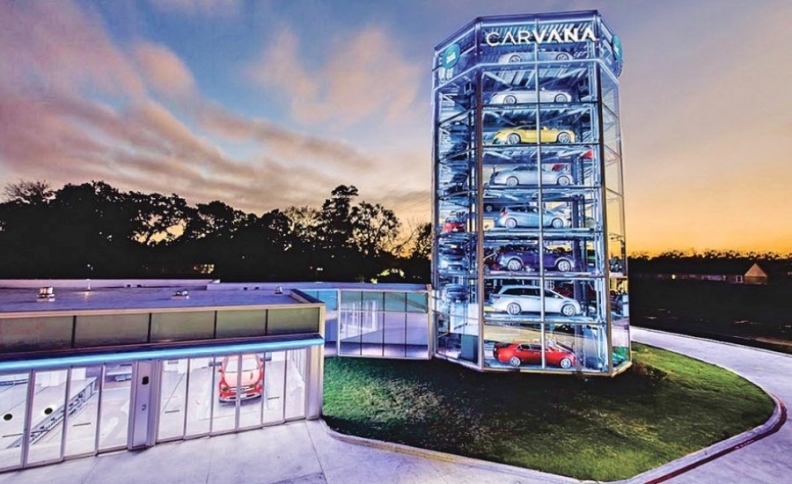 To underscore Carvana's compounding growth, the company said it sold more vehicles in the third quarter than in all of 2015 and 2016 combined. It forecast that triple-digit growth in unit volume and revenue would continue in the fourth quarter. Carvana's gross profit jumped 181 percent to $57.3 million. But Carvana reported a net loss of $64.4 million for the period, compared with a net loss of $39.8 million in the year-ago quarter. The company's gross profit per unit was $2,263 in the period, vs. $1,742 in the year-ago quarter. In an earnings call late Wednesday with investors and analysts, CEO Ernie Garcia said progress in gross profit per unit "lightened the path to profitability more than ever before." Carvana opened in 13 new markets during the quarter, and another four so far during the fourth quarter, bringing its total markets as of Nov. 7 to 82. The company expects to add two more markets before year end, moving its total to 84. In the third quarter, top-line growth was broad-based across all markets, the company said in a letter to investors.